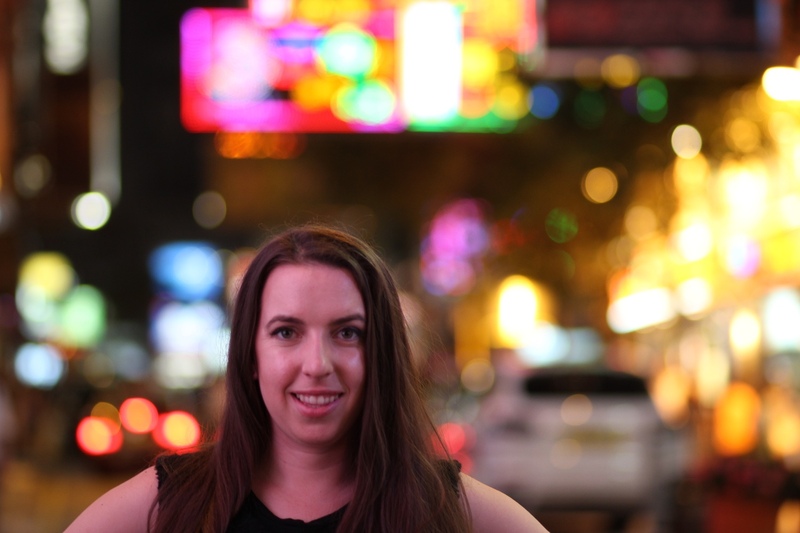 For the last few days I’ve been exploring Hong Kong, and let me just say it’s one of my favorite cities of all time. It’s like a blend of Manhattan, Las Vegas, and Nice all rolled into one. More to come on that in a vlog and blog post coming soon! But packing for HK’s subtropical climate was an after thought as I was busy traveling through South Korea and Japan the two weeks prior. We dealt with everything from snow to hail in pursuit of cherry blossoms, but I guess that’s just spring for you! 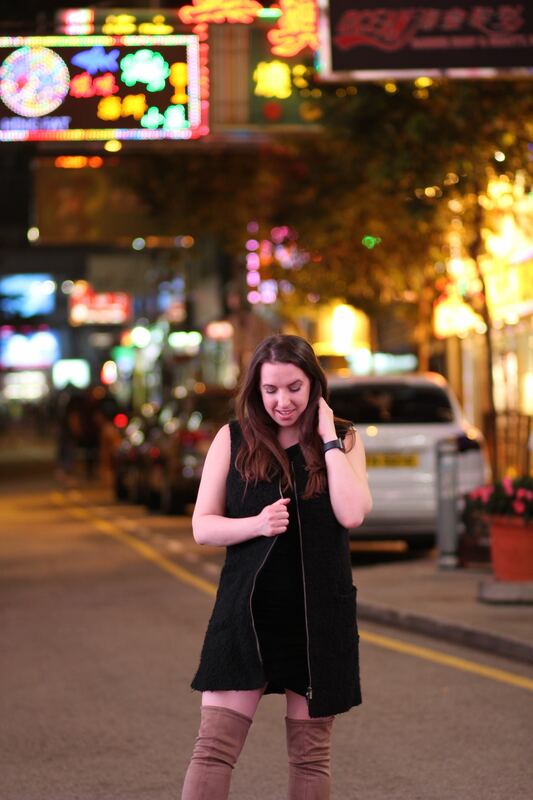 In any case, I pieced together this outfit for a night out in Kowloon from the monochrome capsule wardrobe I packed for Asia. I love how this casual dress and vest combo worked with my new taupe OTK boots. The faux suede boots are extremely stretchy and comfortable, and an amaaaazing dupe for the exorbitantly expensive designer versions. They’re also light and pack down nicely, making them a perfect shoe to pack for day-to-night dressing when you’re unsure the local temp. They just went on sale too, so get them while you can! Like this look? Be sure to check out some of my other outfits or style posts before you go. 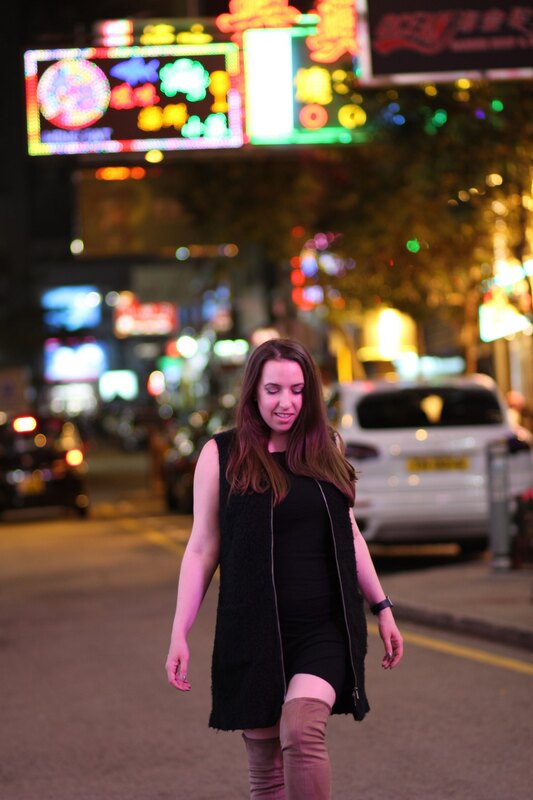 Stay tuned for my Hong Kong, Seoul, and several other travel guides coming soon. Thanks for reading! Lucky you… Hong Kong is on my to-do list but still not sure when I can fit it in. By the way,the boots look fantastic. i have always wanted to go to hong kong. I love your outfit, especially the boots. Wow what a cool place to visit! My family might be going there later this year am I’m pretty jealous haha. Love the outfit you put together. 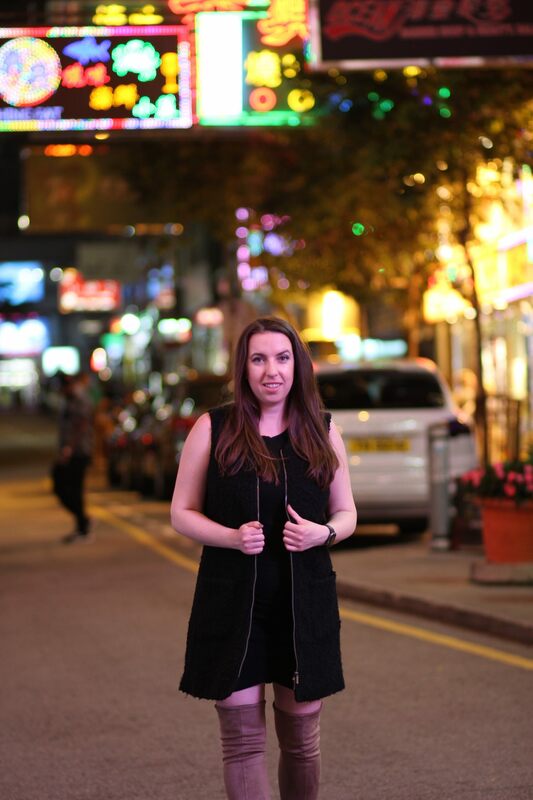 I’ve only ever been to Hong Kong once and it was a crazy trip. It’s a nice city packed with so many things to do and the weather is perfect for fashion bloggers! Lol. I think you look great with this look. Those boots are HOT! I love those boots. Your dress is also nice too. Looks like you had fun! That dress is beautiful. I love the design and length. Those boots also look amazing! How fun that you’re in Hong Kong. I think it would be fun to go, but I don’t know if the kids would like that long flight. I never saw a pair of boots as comfy as that. Most of the boots I used are made of leather and are too tight making it uneasy to move for me. I will check the product online. OMG! Your shoes is totally awesome! I love it. That’s a good choice! Nice outfit as well. I really love your style. What a beautiful dress it looks perfect on you and such a good combination with your boots. I love those boots! Also, I love the way you took this picture! You sound like you had lots of fun!